"What do you want?" 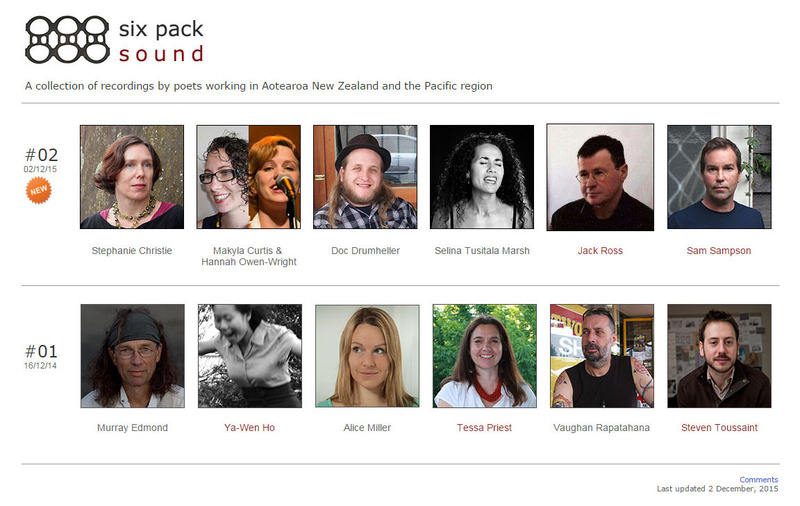 NZ Poetry Shelf: a poetry page with reviews, interviews and other things, ed. Paula Green (15/4/19). "My Uncle Tommy." 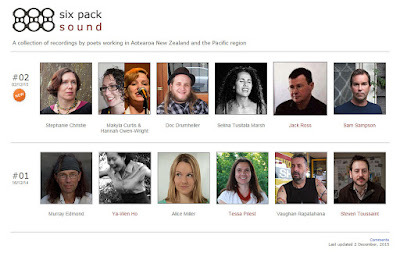 NZ Poetry Shelf: a poetry page with reviews, interviews and other things, ed. Paula Green (7/5/18). "Never give up." 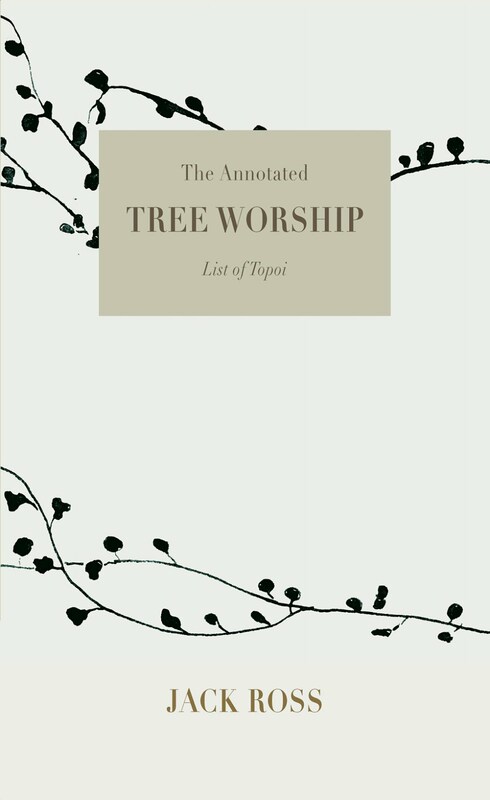 NZ Poetry Shelf: a poetry page with reviews, interviews and other things, ed. Paula Green (1/8/17). "Ice Road Trucker (7/2-30/3/15) / Camionero sobre hielo (trans. Charles Olsen)." Palabras Prestadas, ed. Charles Olsen (5/5/17). “Ice Road Trucker: "Ice Road Trucker," "Lone Pine," "Howard," "Leaving Town," "Trying to Write," "Our Lady," "New Zealand’s Next Top Model Speaks," "The Darkness," "Mayday," "Last Conference before Passchendaele," "The Other Side," "The Jay Poems," "On Early Trains (after Boris Pasternak)," "Bangalore 2002 (after Boris Pasternak)," "12-12-12 (after Dante, Inferno i: 1-30)," "Thinking of My Father (after Liu Ke Zhang).” Six Pack Sound #02 (30 November 2015). “The Mysterious Island" & "Antigone.” Percutio 9 (2015): 68-69. “On Early Trains.” Cordite Poetry Review 51: Transtasman (2015). “Bangalore 2002.” A Poetry Shelf for Paula Green (2015). "Leaving Town." brief 51 - the outer link (2014): 5. From A Clearer View of the Hinterland: “A Clearer View Of The Hinterland" & "Howard.” HeadworX Website (8 September 2014). 3 Mayan Poems: "Lacandon-Maya Poem," "Tzotzil-Maya Prayer" & "Yucatán-Maya Hunting Song." brief 49 (2013): 60-65.
from The Jay Poems: "Jay & The Economics of Happiness," "Jay on a Friday Night," "Jay's Fear of Retirement" & "Jay at the Pataphysics Conference." brief 47 - The Mid City Arcade Project (2013): 32-36. “Tapa Notebook: "Brooklyn Arts Hotel,” "Paul Celan (after Matt Hall)” & "Pity what you can’t change." nzepc (14 March 2013). “Lounge Room Tribalism.” periphery / to carry around: an nzepc video project. Ed. Michele Leggott & Brian Flaherty (July 8, 2011). “Cook on Easter Island” & “Never give up.” Poetry NZ 44 (2012): 83-84. “Vampires.” Catalyst 9 (2012) – Export Quality: 38-42. “Vampires.” Music by Chris O’Connor / Mark Tupuhi / Delaney Davidson / Julian Marchant / Benjamin James / Mataio Daniela / Jody Lloyd. [Catalyst 9 CD: track 11]. “Lounge Room Tribalism.” Interlitq 16 (August, 2011) [visited August 10, 2011]. “Pale Star.” Mosehouse Studio (January 18, 2011). “Celanie: Five Versions from Paul Celan.” brief 41 (2010): 54-59. “One More Thing.” Broadsheet: New New Zealand Poetry 6 (2010): 24-26. “Dark Horsey's Phar Lap” [A collaboration with Jen Crawford & Chris Price]. Astropelago. Ed. Helen Sword. All Together Now: A Digital Bridge for Auckland and Sydney (March-September, 2010). “Celanie: "Lunch (after Lady Daibu & Lydia Ginzburg),” "Three fits,” "Mr Lennon (after Charles Darwin),” "Substitutes only need apply,” "Maggie’s Farm (after Ian McEwan & Margaret Thatcher),” "'The archaeologist of the present day',” "Badlands (after Jonathan Raban),” "April Fool’s Day” & "Leave (after Paul Celan)." All Together Now: A Digital Bridge for Auckland and Sydney / Kia Kotahi Rā: He Arawhata Ipurangi mō Tamaki Makau Rau me Poihākena (March-September 2010). Ed. Michele Leggott, Martin Edmond & Brian Flaherty. Home & Away 2010: A Trans-Tasman Poetry Symposium (September 1-2, 2010). “The Darkness." Tuesday Poem. Molloy * Notebook. Ed. Harvey Molloy (17 August, 2010). from The Puppet Oresteia.” The John Dory Report 24 (2010): -. “U.P. : up." Tuesday Poem. Molloy * Notebook. Ed. Harvey Molloy (19 July, 2010). “Memoirs from beyond the grave,” “Badges” & “Sor Juana Inés de la Cruz.” brief the fortieth 40 (2010): 9-13. “Three Texts from Other Texts: "Pale Star: K.M., 1923 (after Xu Zhimo),” "Foundry / Gefunden (after Goethe)" & "Toys: China, 1908 (after Kathleen Pih-Chang)." All Together Now: A Digital Bridge for Auckland and Sydney / Kia Kotahi Rā: He Arawhata Ipurangi mō Tamaki Makau Rau me Poihākena (March-September 2010). Ed. Michele Leggott, Martin Edmond & Brian Flaherty. Home & Away 2010: A Trans-Tasman Poetry Symposium (April 23, 2010). “Already.” Mosehouse Studio (April 16, 2010). from The Puppet Oresteia: “Chorus 6 – See how Apollo,” “Chorus 7 – The labour pains.” brief 39 (2010): 33-42. 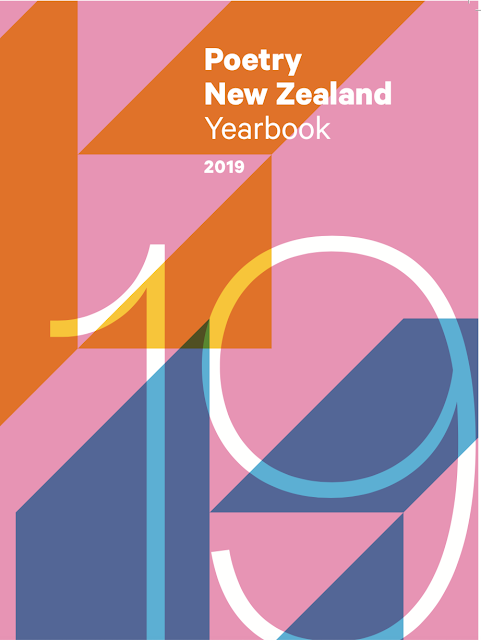 “The All-Star Travelling Gameshow,” “The Asbestos Hands of Dr. J,” “This DVD contains everything …,” “Unsuccessful Applicant for Neighbourhood Watch,” “Shorts: The pisshead / chuckles; The Swimming-Pool Wedding; Twisted Pippie Café; South; vie littéraire.” Poetry NZ 40 (2010): 76-81. “Silhouette.” Mosehouse Studio (February 19, 2010). “New Zealand’s Next Top Model Speaks.” Massey University: Defining NZ (Summer 2009/10): 7. “The Assassination Weapon” & “Anzac Day.” brief 38 (2009): 46-48. “I ♥ NZ.” Kilmog Press (September 19, 2009). “Refrigerium" & Quasimodo's Last Poem.” Love, War and Last Things. Ed. Michele Leggott & Brian Flaherty. nzepc (April 18, 2009). “Nightingale Fever.” Some shells in a tobacco tin: Ruth Dallas. Ed. David Howard. nzepc (March 17, 2009). “Easter Ferry to Rakiura.” Magazine 6 (2008) [Ka Ora – Survival – Sobrevivência]: 94. “from Before the Disaster.” Percutio 2 (2008): 74-80. “from The Perfect Storm: Fire, The Storm, Fusion, Poetry Live.” Haibun Today (May 1, 2008). “from Ovid in Otherworld. Versions from Tristia: Tristia 3.2, 3.3 & 3.10.” JAAM 25 (2008): 142-44. “Satan’s School for Girls.” JAAM 24 (2007): 29-33. “That Hand,” “Funeral Sermon by the Shadow Spokespeson against PC,” “Some More of Your Friends from Nevada,” “Death & Beyond” & “Eva.” Poetry NZ 34 (2007): 76-80. “Tips on Stress from Seddonville” & “Kylesque.” brief #34 – war: 6-12. “A Patina of the Antique.” Trout 14 (2007): 53. “Your Past Life Ghosts.” Catalyst 5 (2006): 38. “Hitler’s Villa.” Tongue in Your Ear 9 (2006): 60. “After Apollinaire ” & “Poems from Schneepart: Five Translations from Paul Celan.” Percutio 1 (2006): 30-31 & 60-62. “Sleep Threshold – Hypnagogia.” Poetry NZ 33 (2006): 80. “Waitakeres.” Valley Micropress 9 (4) (2006): 8. “Collaboration 7: gyres of moaning poppies” [with Michele Leggott & Helen Sword]. OBAN 06 Online Poetry Anthology. “Zen and the Art of America’s Next Top Model” & “Free Love.” OBAN 06 Online Poetry Anthology (compiled April 21-23, 2006). “Invocation,” “Wang Po’s Preface to Poems from the Pavilion of the Prince of T’eng”& “In the Days of the Lord of the Rings.” Magazine 6 (2006): 100-02. “Ancestral Voices, I.” brief #33 – exile and home (2006): 139-48. “Mysteries.” Bravado 6 (2006): 33. 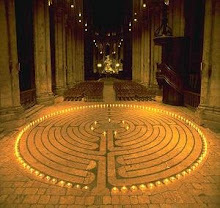 “After Apollinaire” & Christchurch Revisited.” Takahe 56 (2005): 13 & 20. “The Kitset Love Poem” & “Aeroplane Poems.” Valley Micropress 8 (10) (2005): 17. “from Suburban Apocalypse: Cabin Fever; The Drive-by; Oral; The Accident.” Catalyst 4 (2005): 67-71. “Free Love,” “They’ve,” “No” & “E M O.” Magazine 3 (2005): 25-29, 126. “Rough Day on the Gulf.” Valley Micropress 8 (9) (2005): 4. “Sibylla.” Kokako 3 (2005): 52. “Language School Picnic.” New Zealand Listener 3412 (October 1-7, 2005): 44. “The Old School after Twenty Years.” Valley Micropress 8 (8) (2005): 5. “Muses (for Joanna Margaret Paul).” brief 32 (2005): 95-98. “Blues,” “Speaking of …” & “Birkenhead.” Spin 49 (2005): 60-62. “Our Lady.” Fugacity 05 Online Poetry Anthology (compiled April 21-23, 2005). “Reviewer” & “Cinema of Unease.” Poetry NZ 30 (2005): 87-89. “God's Spy.” nzepc 3rd birthday reading (March 2005). “Citizens of the People’s Republic of Freaktown.” brief 31 (2004): 76-79. “Shock & Awe” & “Days Under Water.” brief 30 (2004): 3, 88-91. “A Question of Faith.” Papertiger 04 (2004). “Six Days in Kuaotunu.” Kokako 2 (2004): 51. “Cruisy Morning, eh?” & O Canada!” Bravado 2 (2004): 22. “The Existential Dracula.” Spin 47 (2004): 63. “Postcards.” brief 29 (2004): 62-65. “A Sunday Walk” & “Coromandel.” Poetry NZ 28 (2004): 91-92. “Metaphors of the 1001 Nights.” Magazine 1 (2004): 36-38. “Bonfire Gothic.” Kokako / Spin 46 (2003): 53. “Season of the Remakes” & “Anamorphoses.” brief 27 (2003): 3 & 74-76. “Murder One.” Spin 45 (2003): 47. “New Year in Mission Bay” & “Samsara – Breaking through.” evasion – life advanced 2.1 (2003): 18 & 21. “Signs,” “Quasimodo’s Last Poem” & “New Zealand Golf (and English) Academy.” Poetry NZ 26 (2003): 83-85. “Going In” & “Staying Out.” Spin 44 (2002): 36-37. “Stone Pine Lavender: for Alan Brunton.” New Zealand Electronic Poetry Centre. “Tiger Country” & “from A Bus Called Mr Nice Guy: Misadventures in India.” JAAM 18 (2002): 90-100. "Bronze” & “[Tuesday, 11th January – 3.05 p.m.]" HeadworX Website. [Edward Mulete] “Urgent: Assistance Required.” brief 25 (2002): 70. “Dumb.” Tongue in Your Ear 6 (2002): 5. “The scent never comes off again …” Spin 43 (2002): 30. “Wedding Poem for Alan and Corinne.” Spin 42 (2002): 50-51. “Nouvelle Vague.” Landfall 202 (2001): 111. “SH1 near Taupiri” & “Tanlaw.” Spin 41 (2001): 49. [Featured Poet:] 5 City Poems: “Tron,” “E,” “Disorder and Early Sorrow,” “Last Night at the Party,” “No-one gets on or off.” Auckland Poetry Website. “Withdrawal Symptoms.” New Zealand Listener 3196 (August 11-17, 2001): 62. “Boi-Boi on karaoke” & “La fille que j’ai abandonnée.” Spin 40 (2001): 56. “Situations i-iv.” Australian Canadian Studies 18 (1-2) (2001): 189-94. “Jack’s Metamorphoses (Part 2).” brief 19 (2001): 70-79. “Stone Pine Lavender: i.m. J.K.B.” Spin 39 (2001): 51. [Featured Poet:] “from Lessons of the Genji: Around the South Island at New Year.” Poetry NZ 22 (2001): 11-26. “In the Cave of Henry James.” brief 18 (2001): 28-35. 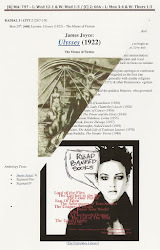 “Antipodes,” “I ♥ NZ” & “The Reason Why.” Creative Forum: A Quarterly Journal of Contemporary Writing [India], 13 (1-2) (2000): 80-82. “Bronze,” “Home Beach,” “A Woman Named Intrepid,” “Chantal’s Housewarming” & “Christmas Cards – Tension Headache – The Madwoman in the Bus – Her Plastic Shopping Bags – Thoughts of Marianne.” JAAM 14 (2000): 48-52. “Burn Old Diaries.” Spin 38 (2000): 35. “Except Once.” New Zealand Listener 3140 (July 15-21, 2000): 44. “Conversation Pieces” & “I ♥ NZ.” evasion 1 (2000): 15. “Dieting. I’m Hungry too” A Brief Description of the Whole World 16 (2000): 62-69. “Arabia Petraea red.” Spin 37 (2000): 51. “Jack’s Metamorphoses I.” A Brief Description of the Whole World 15 (2000): 57-62. “Journey to the West,” “The Reason Why” & “Idyll.” JAAM 13 (2000): 93-96. Jorge Accamé: “A Photograph of the Poet” [translated with David Howard]; “A Clearer View of the Hinterland: Leicester at Millerton.” Spin 36 (2000): 6-7, 51. 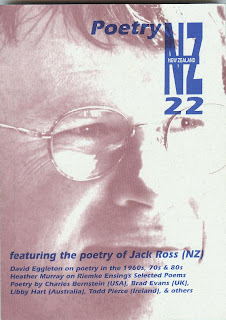 “NZ Poetry: The NeXt Wave.” Tongue in Your Ear 4 (1999): 29. “An Appointment with Cortázar.” Spin 35 (1999): 46. “Like a Japanese Christmas Card.” Flint 1 (1999): n.p. “The Imp of the Perverse,” “Auckland Girl” & “Body Fictions.” Spin 34 (1999): 50-51. “Wharfbury Dogs.” Salt 6 (2)(1999): 17 & 60 & 62 & 67. “from Evenings in the Blackout.” Spin 33 (1999): 50-51. 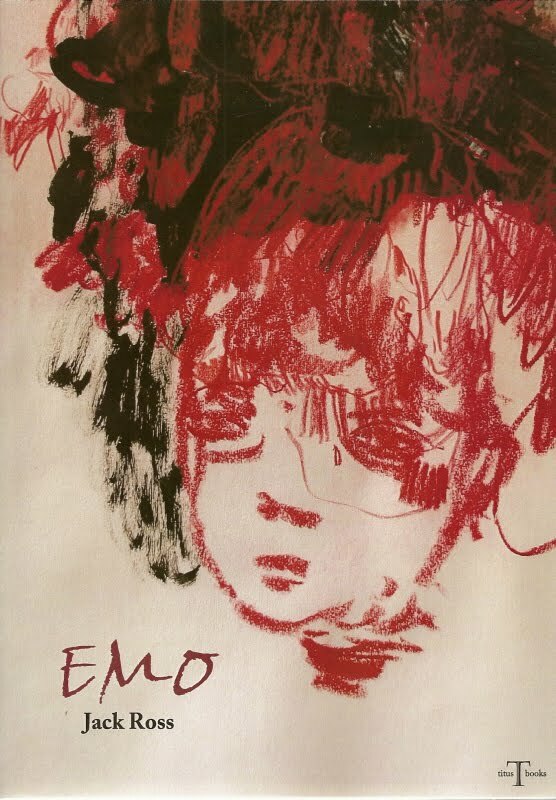 “A Previously Uncollected Posthumous Work of Bukowski.” Micropress New Zealand 4 (2) (1999): 9. “Antipodes.” Poetry NZ 18 (1999): 63-64. “A Previously Uncollected Posthumous Work of Bukowski” & “M.C.” Valley Micropress 2 (1) (1999): 3. “Elegy: Miriel Kyle.” Takahe 35 (1998): 13. “City Face.” Valley Micropress 1 (11) (1998): 6. “In the Ngakawau Gorge” & “Midnight Mass.” Spin 32 (1998): 37. Jorge Luis Borges, “Labyrinths: 1 – Theseus; 2 – Minotaur; 3 – Ariadne.” Boxkite: A Journal of Poetry & Poetics 2 (1998): 31-32. “Renga: Out of the Light” [with Jan Gerritsen, Mary Buckton, Kai Jensen and Barry Smith] & “First Love.” Spin 31 (1998): 45, 23-26. “East Coast Bays, Winter,” “Before the Rain” & “Auckland by Night.” Spin 30 (1998): 6, 57, 66. “Recovery.” Poetry NZ 16 (1998): 65. “Bilingual Recipe for Big Macs.” Tongue in Your Ear 3 (1997): 66-67. “Cassandre” & “On the Edge.” Spin 29 (1997): 31. “Water-slides,” “On the Occasion of Wet Snow,” & “Life in a Chinese Novel.” Spin 28 (1997): 7, 42, 43. “Obsolete.” Campus News: the alternative alternative 1 (4) (5 Oct, 1984): 3. “The Shaman.” Campus News: the alternative alternative 1 (3) (11 July, 1984): 10.